There is always a sense of anticipation palpable when the first of a particular type of aircraft rolls out of the paint shop at Airbus. 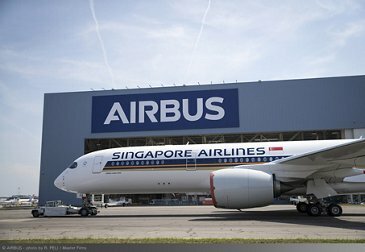 This week was no exception as the latest craft to get the unveiling was the first Ultra Long Range Airbus A350 XWB which will go to launch customer Singapore Airlines, resplendent in the carriers distinctive livery. Singapore Airlines has ordered another six of these Ultra Long Range aircraft from Airbus and we're told that all of those aircraft are being worked on right now. The first aircraft has already done a number of test flights and is currently undergoing its cabin fitment. 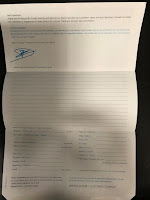 Singapore is going to be using the A359-900 ULR on a direct non-stop services from Singapore to Los Angeles, San Francisco as well as to New York, which will then become the world’s longest commercial air service. According to the Airbus technicians, The Ultra Long Range A350-900 has a range of up to 9,700 nautical miles, a maximum take-off weight of 280 tonnes and is capable of capable of flying over 20 hours non-stop. 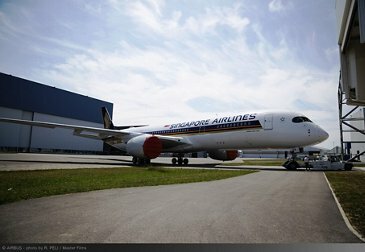 Singapore Airlines is one of the largest customers for the A350 XWB Family, having ordered a total of 67 A350-900s, including the seven Ultra Long Range models. The airline has already taken delivery of 21 A350-900s. The European manufacturer used social media to highlight a time-lapse video of the aircraft rolling into the paint shop and some of the incredible work needed to apply the livery of Singapore Airlines.